Fibromyalgia Studies. Research on Fibromyalgia. There has been extensive Fibromyalgia Studies done. See some of the research that offers SOLUTIONS to fibromyalgia and chronic fatigue syndrome. 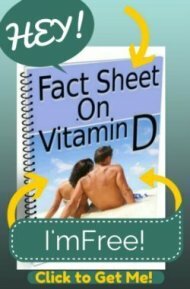 See the Fibromyalgia and Vitamin D page for more detailed information about the connection between these two issues. MYOPATHY AND NEUROPATHY ASSOCIATED WITH OSTEOMALACIA<- Fibromyalgia Studies suggest that Neuropathy and myopathy is from MULTIPLE nutritional deficiencies. A critique of the Study Vitamin D Deficiency Is Not Associated With Nonspecific Musculoskeletal Pain Syndromes Including Fibromyalgia. This study was a response by a doctor to the study 'Prevalence of severe hypovitaminosis D in patients with persistent, nonspecific musculoskeletal pain' in which nearly 90% of patients in a pain clinic were found to be Vitamin D Deficient. This doctor did his own study on the fibromyalgia patients in his clinic and found Vitamin D to have no benefit. 1) He used Vitamin D2. If you read the Prescription Vitamin D page, you'll see that vitamin d2 by prescription is NOT recommended. 2) He chose a sample of patients with SEVERE vitamin d deficiency of less than 10 ng/ml then treated them for 8 weeks total. 8 weeks of 50,000 IU's of vitamin d in patients with levels of 10 ng/ml is simply not going to correct a deficiency that severe. So, by treating them inadequately, he left them still vitamin d deficient and expected the treatment to work. 3) He didn't optimize blood levels. He did a baseline level and treated for 8 weeks. 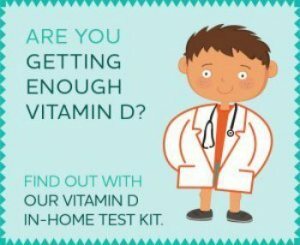 On my Vitamin D Deficiency Treatment page, researchers recommend testing levels after 8 weeks and retreating until levels are between 50 to 80 ng/ml. 4) He didn't give a Magnesium Dosage with the vitamin d. Vitamin D requires magnesium in order to get converted into its active form in the blood and the vast majority of fibromyalgia and chronic pain sufferers are already magnesium deficient. 5) He didn't let enough time pass. Other studies that have studied the effects of vitamin d and muscular pain and weakness have shown that it may take up to 6 months to see the full resolution of muscular effects of Fibromyalgia and Vitamin D administration. So, doctor- you expected Vitamin D to be a 'Magic Bullet' and it's not. If you had designed your informal study with these actions in mind, your patients may very well have had better results. Now you believe that vitamin d doesn't help these patients when it most CERTAINLY does in many of them. Since you started out using vitamin d in the wrong way, now you'll never see the incredible benefits that vitamin d can have on your patients. What an incredible shame. Relief of fibromyalgia symptoms following discontinuation of dietary excitotoxins<- Fibromyalgia Studies that say getting rid of artificial sweetener eliminated all Fibromyalgia Symptoms! Fibromyalgia in children; diagnosis and treatment. Presentations of Adult Celiac Disease in a Nationwide Patient Support Group- 9% of patients with Celiac Disease had a PRESENTING symptom of Fibromyalgia.